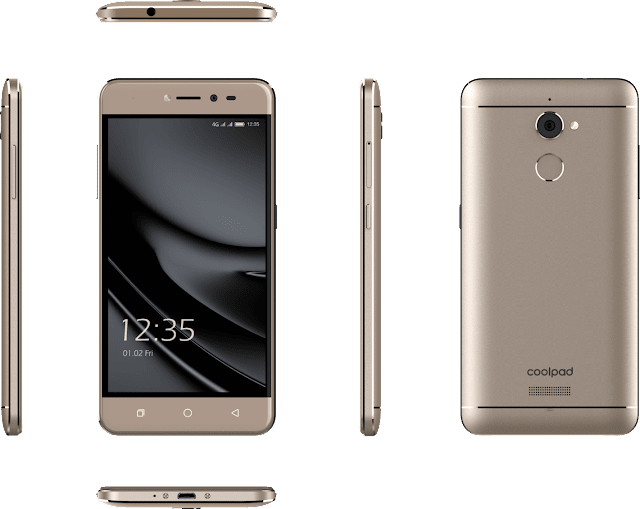 New Delhi, March 16, 2017: Known for its superior quality and competitive pricing, Coolpad today unveiled the Note 5 Lite, the next edition of their widely popular fingerprint smartphone Note 5. It is another addition to the note series known for its elegant design, superior technology. 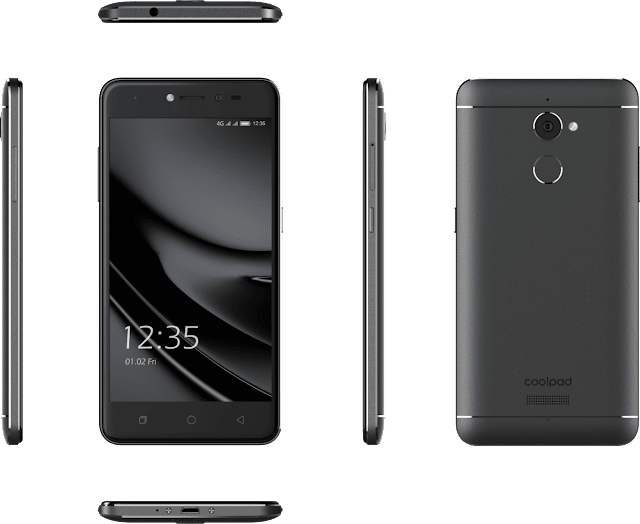 The newly launched phone sports a sleek metal body combined with an 8-megapixel front camera integrated with a fingerprint scanner at the rear. The phone will be exclusively available on Amazon.in at a price of INR 8,199. It will be available in variants of gold and grey starting via open sale from 21 March, 2017. On the side-lines of the launch, the company unveiled its strategy to further consolidate its leadership status in the online smartphone category. Continuing its focus on building deeper connect with consumers, the company has planned for 3 successive launches pre- Diwali. With an aggressive product strategy lined up, the company aims to be ranked No 1 exclusive handset brands on Amazon.in. by this year end. 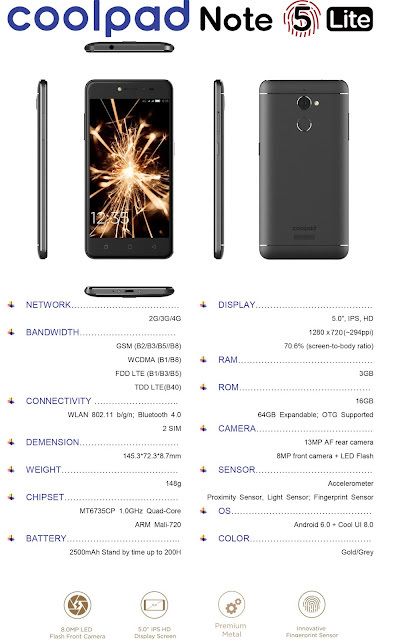 The device is powered with 3GB of RAM and 16GB of flash storage along with expandable memory using a microSD card. It bears a 13-megapixel auto focus rear camera and 8 mega pixel camera, both equipped with LED flash light allowing it capture good selfies in low light condition. The Note 5 Lite also uses an aluminium magnesium alloy making it durable and sturdy yet light weight at 148g. It is available with 5- inch HD IPS display (1280X970), with a dimension of 145.3*72.3*8.7mm, which is perfect for one hand use. The tastefully traced thin metal rims around the back, gives this handset a premium look. It comes with scratch resistant, 2.5D curved glass on top of its display.